Circumstances He went to the Bhuleshwar market with his mother at 14:00 hrs. Both mother and child are missing from that time. 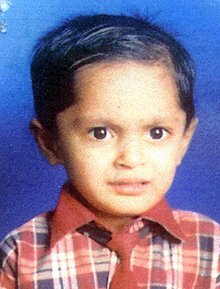 He was last seen wearing gray colour T-shirt and gray shorts.